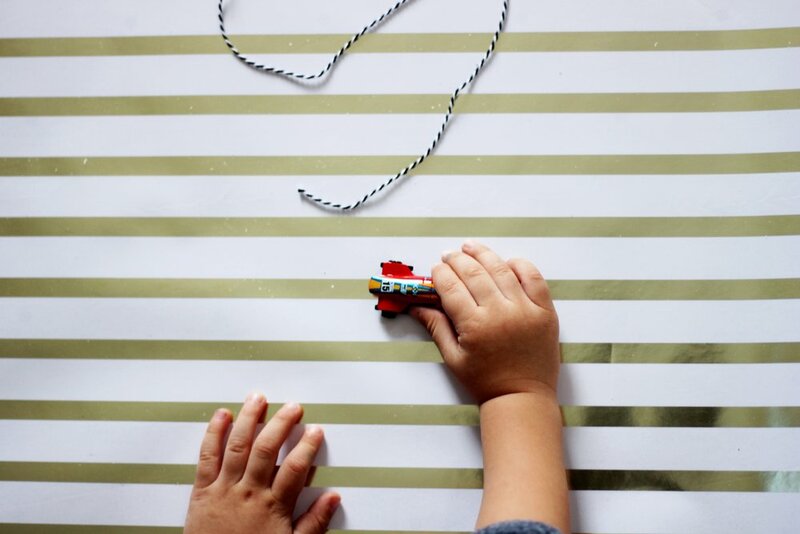 We found some "Cars" themed Valentine's stickers and he is also a fan of Hot Wheels cars (raise your hand if your kid has TONS of these tiny things lying around, waiting for you to trip over 🙋🏻) so then it clicked: Hot Wheels Valentines + Cars stickers to seal them! I had seen something on Pinterest where the Mama's / Daddy's did just that and I knew I had supplies stocked to make them easily, so I decided to make our own version of this apparently popular idea. Playing make believe with my sisters are my most cherished childhood memories and trust me … we have TONS of stories! While I was photographing the Hotwheels Christmas Wreath DIY I was thinking about what a fun wreath would be for a little girl (if she didn't care for cars) and I was SOOOO very excited when the word MERMAIDS!!!!! came into my mind. I got right to work and hand drew + cut out all of these little underwater ladies out of foam, got to gluing them together and started attaching them to this beautiful white wreath. // Are there any seashell collectors out there? 🙋🏻 I spend hours collecting shells on the beach when I get a chance to go and my collection is finally being put into good use! I picked some of my favorites and painted them with watercolors. // This part was fun! I wasn't sure how the paint would adhere to the shells but I was pleasantly surprised at the richness of color that I got and the texture in the shells made each of them a beautiful piece of art! // I glued these shells on with a glue gun around the mermaids, attached some mini trees and DONE! This project isn't very messy, there is some gluing with the hot glue gun and string cutting. Racing words printed on cardstock + cut out (optional). Download for racing words available HERE. Paper straws in color / pattern of choice. 1.) The first thing you're going to need is a wreath of your choice. 2.) Then round up all the Hot Wheels cars that you want to use. 4.) Then you start to cut your string into 5 inch pieces, cut as many pieces as there are cars. You'll be using these pieces to tie your racers all around your wreath! Wrapping the string around the cars twice, then tying held them on more securely. 5.) If you decide to use the racing words, you can print the download out on cardstock. Cut each letter out and glue each word to a paper straw. You can then cut the remnant of each straw off. This made it easier for me to attach the words to the wreath. Then you can glue your words with a hot glue gun all around your wreath. // That's it! 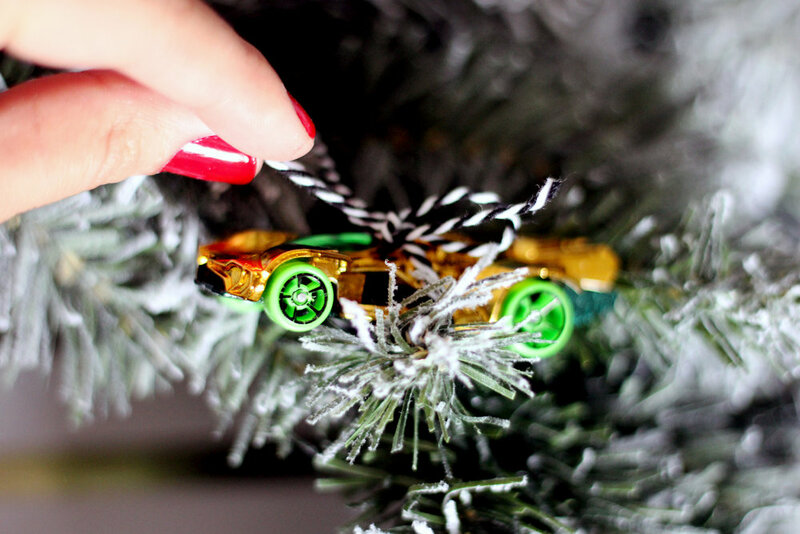 Your Hot Wheels race car wreath is done + ready to hang!